Opening a restaurant might be your dream, but do you have what it takes to run your restaurant successfully? There are several reasons why restaurants fail in their initial years in Dubai. Factors like poor location choice, staff’s ignorance and improper capital management can lead to the closing of a restaurant business. The success of a restaurant doesn’t come quickly. A restaurant owner has to work hard to sustain their restaurant business. A successful restaurant owner understands what their customers want and how they can deliver results. We understand a restaurant owner goes through a lot to keep their restaurant business moving, managing every small detail from the kitchen to the staff; therefore we have prepared a list of the hacks that will make it easier for you to run your restaurant business successfully. Making a success of a restaurant in Dubai can be a momentous task. 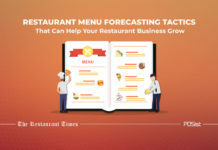 There are several factors apart from good food that makes your restaurant business successful, you want your customers to walk in and find everything from the menu to the service in sync. Here are some things that can help you run your restaurant business seamlessly for prolonged success. Dubai has emerged as a global food destination with 501 restaurants per million of resident and overnight visitors population. Although there is an oversupply of international as well as homegrown restaurant brands in Dubai, the consumer demands continue to grow. For running a successful restaurant business in a competitive and highly dynamic market as Dubai, you need to understand the current challenges and the consumer demands. While deciding your restaurant concept and the format, you need to do proper market research before you open your restaurant business in Dubai. Your location decides the fate of your restaurant, whether it’ll be a hit or a miss. Don’t establish your restaurant business anywhere because of the low rent as it could prove to be expensive in the long run. The footfall at a location with low rent might be less, however, this won’t be adequate to maintain the cash flow and you might end up facing losses. Choosing the correct location is one of the critical points to run your restaurant business successfully. Setting up your restaurant in a visible location is very vital, ensure the footfall is high and your restaurant sign is visible as it is easy to lose your identity in Dubai’s gigantic restaurant industry. Also, accessibility plays a vital role in making your restaurant successful. If people can reach your restaurant easily, they are more likely to revisit. There is a reason why major restaurants in Dubai are located out front where it is easier for the customers to spot them. Some of the prominent locations for restaurant businesses in Dubai are Palm Jumeirah, Al Quoz, Mall of the Emirates, Al Satwa, Bur Dubai. The restaurant theme is the very foundation of any brand, it is a unique identity that will help make your restaurant successful. Having a great theme and concept can be the differentiating factor between yours and the hundreds of other restaurants in a particular area. The restaurant theme and concept is the first thing your guests come in contact with and perceive the kind of food and service they can expect. 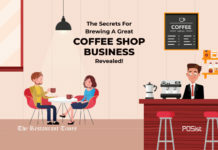 Clearly defining your restaurant’s theme through your interior, concept, and even the menu is going to create a better connect with your audience, and help establish a brand identity. It is essential to hire the best staff since your staff is responsible for running your restaurant business. Hire goal-oriented people as they work hard and ensure that the restaurant operations are carried out systematically. Labor costs are pretty high in the restaurant industry in Dubai, owing to the high labor turnover rate and a lack of skilled staff. 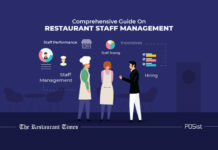 Thus, it is important that you hire the right people for running your restaurant business successfully, and train them right for seamless restaurant operations. Invest time and resources in hiring the right people, after all, Dubai is still an attractive destination when it comes to offering hospitality jobs. You need to invest time in training your staff, as this will help polish their skills and will make them feel valued. 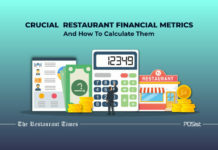 To run a successful restaurant business, you need to determine the food cost accurately. Not being able to cover the costs can ultimately result in the closing down of the restaurant. 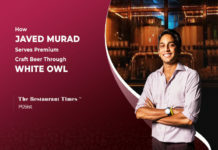 Trading economics released a report stating that the Cost of food in the United Arab Emirates increased 2.60 percent in July of 2018 if the prices keep going up this would mean a severe loss for the restaurant industry. Calculating the food cost helps you determine the correct value for your menu items. High food cost also indicates that perhaps pilferage or wastage is happening at your restaurant and you need to take steps to bring it under control. In order to control your food cost, compare the prices that different vendors have to offer for the same raw materials. This would help you negotiate and procure the best deal. Wastage and pilferage are major contributors to high food costs. Portion your food correctly, this ensures that you are not over or under filling the plates. Monitoring the inventory is another excellent way of controlling the food cost. 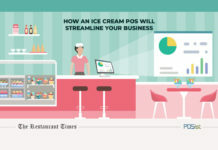 Use a cloud-based POS system to track the stock and inventory daily. 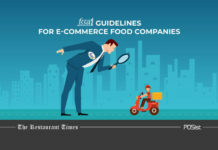 This would help you control the inventory in real time by using the stock-in and stock-out details and avoid any internal theft that can lead to an increase in the food cost. Salary and wages are one of the significant costs for any restaurant business and difficult to manage as well. According to the reports, UAE ranks third in the world when it comes to job opportunities which lead to high attrition rates. Also, the growing labor cost can affect your restaurant’s budget. Reducing labor cost can seem like a daunting task at first but, it’s an essential step to ensure the restaurant’s success. Periodic reviews of the current salary and compensation would help you identify several opportunities for cost-cutting. Continuously review the market standard and see if you can adjust the current pay of your employee. To control the labor cost, you can cross-train your employees. It is very advantageous for both the employees and the employer. You can train your bartenders to take the place of the servers if required. A workforce trained to do multiple jobs would ensure your restaurant never stops functioning. A restaurant might have the best staff, but an owner’s participation is vital. 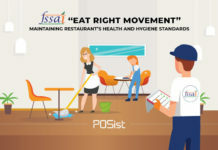 The restaurant owner should be aware of the operations being carried out at his/her restaurant, oversee the operations and get involved with the staff for seamless operations. 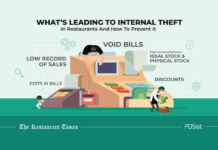 It is important that you monitor the daily operations such as total sales generated, stock consumed in a day, the number of discounts offered, etc to keep a tight control over your restaurant business. Also, take the time to interact with your team as well as your customers. This would help you understand the good and the bad of your business and help you make decisions for the betterment of your restaurant. You simply cannot turn a blind eye to how important technology is for running a restaurant business smoothly. 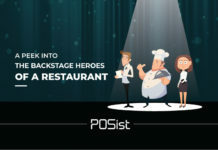 Seek the help of an efficient restaurant POS, and you will see the impact it will make on the daily operations. A restaurant POS is a one-stop solution for your restaurant management difficulties. It lets you take care of all the backend and frontend operations seamlessly, giving the restaurant owners complete control over the business. 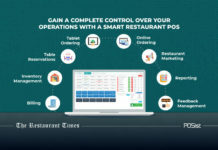 Investing in the correct restaurant technology can not only make you stand out in terms of service, but it will also bind your restaurant operations into one synchronized unit. Managing the inventory is one of the biggest challenges for any restaurant owner. Due to high pilferage and the lack of local produce in UAE, it is crucial for the restaurant owners to keep a close check on the inventory levels to avoid overspending. It also simplifies the process of order taking. Your servers can accept orders through a Restaurant Ordering App from a handheld device, and the orders are automatically placed into the POS. Marketing your restaurant is important if you want to make it a success in Dubai. 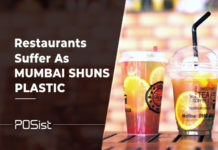 This is simply because of the fact that competition is fierce in Dubai, and you need to spend on restaurant marketing to reach out to the potential customers and retain existing ones. 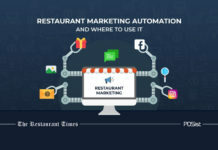 Both online, as well as offline marketing, have their own advantages, and you should be devising a proper marketing strategy to cater to your audience, based on your restaurant format. Restaurant success does not come to anyone, they have to work hard for it. These points will certainly help you manage and run your restaurant business successfully in Dubai. The site for opening a restaurant must, first of all, be appropriate for a food establishment and provide enough and suitable space for the equipment to be used for this type of activity. The building must allow the place to be cleaned and to make possible the disposal of dirt and smoke to be evacuated easily. Good Read.